The Toyota Avalon is a full-size sedan that offers customers superior quality with luxury features and design. The Avalon has everything you could ask for and more when it comes to a sedan and it quickly became a favorite in its class. 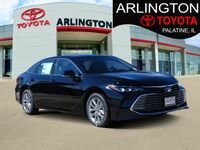 Customers can experience the extraordinary ride quality that is the Toyota Avalon but first lets compare this full-size luxury sedan to one of its competitors to show how the Avalon succeeds in this comparison of the 2017 Toyota Avalon vs 2017 Buick Lacrosse. You may expect lower fuel economy with a full-size luxury sedan but the 2017 Avalon offers adequate fuel economy at 21 city mpg and 30 highway mpg. 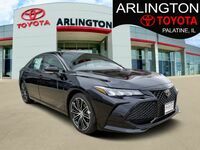 Along with its fuel efficiency the Avalon also offers premium performance with its powerful 3.5-liter V6 engine paired with a six-speed automatic transmission. The 2017 Avalon is rated at 268 horsepower and gets from 0 to 60 mph in a quick and easy 6.4 seconds. The 2017 Toyota Avalon really seems to have it all covered. Respectable fuel economy, top-notch performance and a spacious interior to maximize comfort for all Avalon passengers. The 2017 Avalon exceeds the 2017 Buick Lacrosse's numbers when it comes to trunk space and passenger volume. Not only does the Avalon have a 16 cubic feet trunk size but it also features 103.6 cubic feet of passenger volume meaning that the Avalon offers more space for your luggage and other cargo without taking from the superior space and comfort of the interior. New for the 2017 model year for the Avalon includes Toyota Safety Sense, a package which is standard on all Avalon models and includes adaptive cruise control, lane departure warning, forward collision warning, automatic pre-collision braking and automatic high-beam headlight control. Safety features like these are not available on the lower trim models of the 2017 Lacrosse and customers will have to choose higher price tag models to get those features. 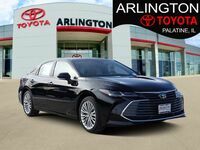 The 2017 Toyota Avalon is available now at Arlington Toyota located in Palatine, IL. Just a quick drive from Chicago, Arlington Heights, Schaumburg and the surrounding areas, Arlington Toyota offers a large inventory of available models. 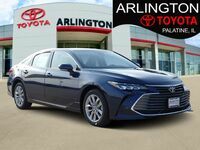 Contact us today to schedule a test drive for the 2017 Toyota Avalon.